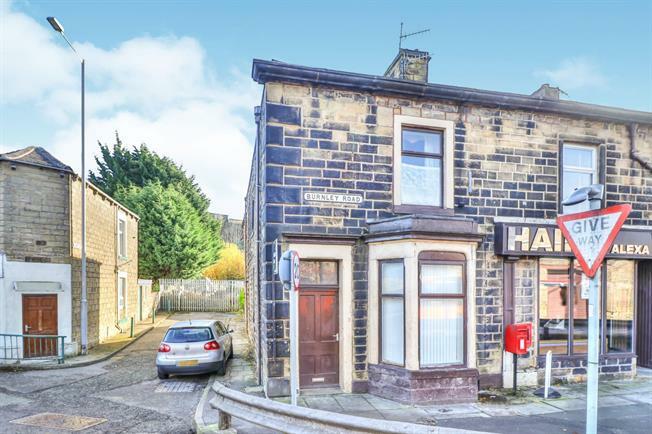 2 Bedroom End of Terrace House For Sale in Colne for Asking Price £64,950. This property's price has dropped from £70,000 to Asking Price £64,950. An exceptionally spacious end of terrace property comprising of two self contained flats, perfect investment or landlord opportunity, both the ground floor and first floor flats comprise of their own secure access, good size lounge open to a well equipped kitchen, bathroom and spacious bedroom. Externally is a neat paved yard area. Double glazed bay window. Gas fire, ceiling light. Double glazed window. Low level WC, panelled bath, wash hand basin. Double glazed window. Gas fire, ceiling light. Wall and base units, inset sink. Double glazed window. Ceiling light. Low level WC, panelled bath, wash hand basin.